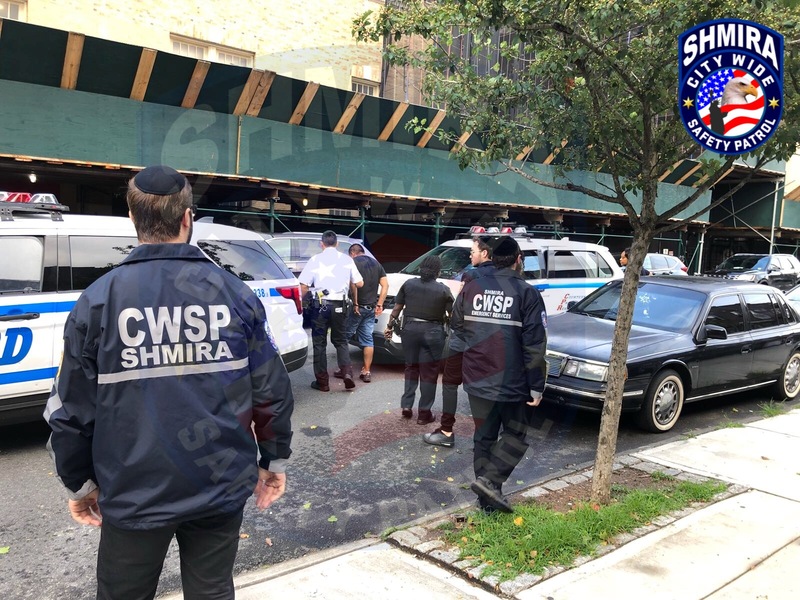 Borough Park, NY - A Brooklyn man is under arrest after a hit and run yesterday in the heart of Borough Park that sent three Orthodox Jewish individuals to the hospital. Police said that the incident took place at the intersection of 11th Avenue and 56th Street at 6:20 PM. A 64 year old man, a 55 year old man and a six year old boy were crossing at the intersection when a 2007 Honda Odyssey reversed direction, striking all three before leaving the scene. After being contacted by victims’ relatives just before 11 PM, Shmira responded to the accident scene and began reviewing security cameras from nearby homes, which appeared to show that the driver of the van deliberately targeted his victims. The footage shows the minivan backing up on 56th Street past a parked school bus and towards the 11th Avenue intersection, waiting for a car to pass before continuing in reverse and heading straight for the three victims who were standing near the sidewalk in front of a parked car. Reviewing additional surveillance footage, Shmira members were able to follow the van’s progress locating the vehicle at approximately 2 AM parked in front of 1027 58th Street. The driver, 27 year old Juan Paulino of Sunset Park, was arrested and charged with leaving the scene of an accident. The NYPD’s Hate Crime Task Force reviewed the incident and determined that it was not bias related. Paulino was previously arrested on at least one other occasion, and was charged with assault in 2007 for assault after throwing a glass bottle that struck another individual. they didn't say he wasn't guilty. They said it wasn't a hate crime. Seems rather obvious by the way the victims were dressed that the driver must have seen that they were Jewish. That leaves the question of motive. Random robbery? (Anyone see anything in the video giving any such indication?) Random poor driving skills? (be real - see the video). The real point is (seeing how late they came to the scene) how quickly the police concluded definitively "that it was not bias related". Seems such a decision would require, like maybe, first interrogating the suspect? Who ever says this is not a hate crime should have their brains examined. By the way where's Dov Hikind? He loves story's like this. Probably another illegal that Obama let into the country. if it was not a hate crime then why did the driver go out of his way to knock down those people? If you looks closely at the video, it's appears to be intentional. So, don't know where the NYPD is coming from with this.